Hi, I’m Fiona. I can help. In the last ten years as a book cover designer, I learned exactly how to make your book stand out from the crowd. Imagine walking up in the morning excited about your commute – to you home office where your dog is waiting under the desk, ready to “work”; or to the coffee shop, to the beach… To the airplane for the next leg of your book tour. I’m here to make your book look great. And when your book looks great, people click on it or pick it up because they want to read more. How many times have you picked up a book because the cover caught your eye? How many times have you bought a book even if outside your preferred genre because the front cover caught your interest and the back cover copy carried that curiosity through? That’s my job. I want to make you go wow. And more importantly, I want to make your book irresistible to readers. Ready? Hit the Get Started Button and tell me about your book. A cover is just the start In addition to book cover design, my team provides marketing, editorial and publishing help to help your book be it’s best. Fiona Jayde is a space pilot, a ninth degree black belt in three styles of martial arts, a computer hacker, a mountain climber, a jazz singer, a weight lifter, a superspy with a talent for languages, and an evil genius. All in her own head. Winner for Best Fantasy and Best Contemporary Romance covers (RONE Awards, 2013). 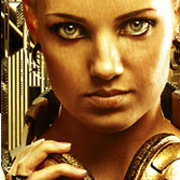 Four time nominee (Best Fantasy, Best Young Adult, Best Sci Fi and Best Paranormal cover) at RONE Awards, 2014. Finalist for Best Fantasy cover at Ariana Awards. Finalist for Best Paranormal cover at RomCon Under The Covers awards. Mutli-time “cover of the month” winner at Cover Love. Mary Harris had a magical childhood in England and Germany, then she and her family returned to Wisconsin. A graduate of University of Wisconsin/Madison and of Mallinckrodt College, Chicago, Illinois, she now lives in Chicago with her husband, children, and grandchildren. 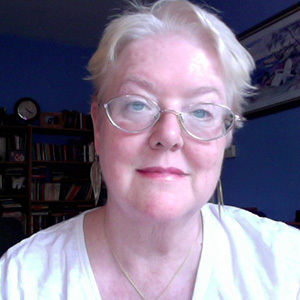 Mary is also a freelance writer in fiction and non-fiction, and a screenwriter. Her main mantra is, “It’s all about the story.” Presently, she is Co-Executive Editor for Hidden Thoughts Press; Senior Editor, Noble Romance LLC; editor, Curiosity Quills Press; Editor, Scribe Publicity; and Head of Development for Sunset Pictures, headquartered in Los Angeles, California. She is also a passionate believer in the Oxford comma, but allows nothing to interrupt the flow of the story. Line or copy editing: grammar, syntax, flow, and logical statements; consistency of details such as place spelling, character’s eye color, etc.